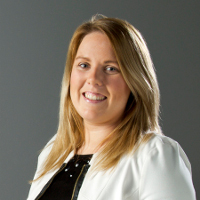 Noelle is an associate of Chartered Accountants Ireland. She has been an integral part of the team at Nolan & Partners since 2012 and has over 7 years’ experience in private practice. Her knowledge and expertise extends to a range of accounting services including audit, advisory, taxation and technical accounting issues. Her experience covers a wide variety of entities including owner managed businesses, retail outlets, the tourism sector, licenced trades, auctioneers, medical, dental, legal and consultancy professionals. Noelle has recently joined Gerard, Barry and Patricia as an associate on the senior management team and is responsible for the day to day management of the practice with a strong emphasis on developing and maintaining client relationships.